Nanaimo Community Policing are searching for Good Citizens looking for opportunities to volunteer. "All Valuables Removed" window stickers now available at the RCMP Detachment. Our Community Policing volunteers come from a wide variety of backgrounds and demographics. The program offers volunteer opportunities during the week, evenings on Friday and Saturday nights and the occasional weekend. Each volunteer has a different reason, or combination of reasons, supporting their desire to volunteer their time, talent and energy with the RCMP. Our program attracts people from all walks of life such as retirees, professionals, trades people, parents, post secondary students, young people etc etc. Some use the experience and training gained to develop towards careers in law enforcement, the aux Constable program, emergency services and the military. The purpose of the Nanaimo RCMP Community Policing volunteer program is to strengthen community and police partnerships by educating, engaging and empowering volunteers to support and assist the Nanaimo RCMP in the safe and effective delivery of authorized crime reduction and prevention activities. 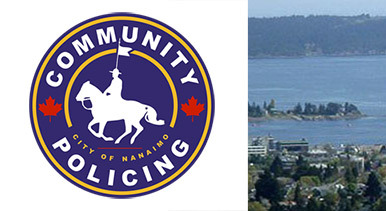 contribute to the policing priorities set out by the Nanaimo RCMP Detachment. provide a safe work environment so all volunteers can carry out their assigned tasks competently and safely. be progressive, proactive, and innovative in the delivery of the program and volunteer activities. offer effective services and activities that appeal to a wide range of volunteers. recognize volunteers for their time and commitment. promote the volunteer program within the community in order to maintain a well resourced program. empower volunteers with the knowledge and insight into policing activities and challenges so they become ambassadors for the Nanaimo RCMP Detachment and its members.